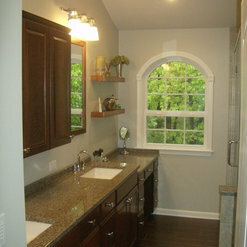 Bath remodeling - Avg hall bath $15,000.00 to $20,000.00, Avg Master bath $30,000.00 to $45,000.00. 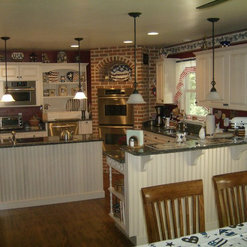 Kitchen remodeling - Avg small $35,000.00 to $45,000.00, Large $50,000.00 to $70,000.00. 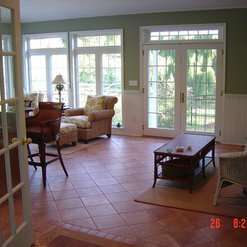 Avg Whole house remodel - $150,000.00 to $250,000.00 Avg Addition is between $190 to $250 per square foot. Full Service Design Build Remodeling Firm Established in 1976, the J.R. LeFaivre Construction Company has become a well known and respected name in residential remodeling and construction. We have stayed true to our initial intention, which is to offer excellent craftsmanship and service within a professional environment. Our business philosophy has expanded through the years but it has not changed. Now, years later, we are still family owned and operated as we pursue this mission of excellence and professionalism. We would like to thank all of our clients for inviting us into their homes time and again, the next generation to come and all the staff that makes it happen everyday. We are committed to having the “LeFaivre” name synonymous with quality and service. From all of us at J.R. LeFaivre Construction Company, we look forward for the opportunity to serve you and your construction needs. 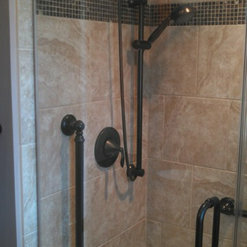 19 Projects for J.R. LeFaivre Construction Company Inc.
37 Reviews for J.R. LeFaivre Construction Company Inc.
We've used LeFaivre Construction for over 10 years on projects from simple door installation to a complete kitchen remodel. They have always managed to exceed our expectations. Everyone there is courteous, professional, an very knowledgeable. We highly recommend LeFaivre Construction. 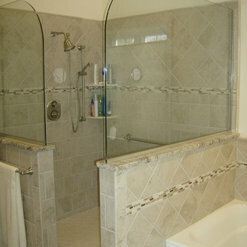 The contractor was very thorough in every aspect of the design. All request and detail was followed through with quality craftsmanship. The end result is beautiful and will be enjoyed for many years to come. This company is highly recommended . Thank you so much!! It was truly our pleasure to work for such kind people!! I have pictures coming!!! My husband and I have been calling on this company since 2006 for home improvement projects/needs. We have found them to always be very dependable, reliable, prompt, respectful, attention to detail, trustworthy & eager to do the job exactly as you want it done. 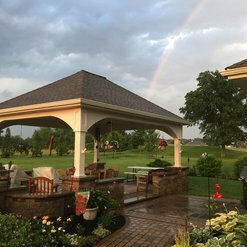 We had them do an expansion of a sun room with placement of recessed lights & a tile floor, a deck & a shed & repair significant wall damage inside house & garage with painting & clean up and never once had to worry about anything. Their workers get the job done right the first time and to your satisfaction. I would highly recommend them. Thank you very much for your kind words and your continued trust! It is truly our pleasure to work for you! 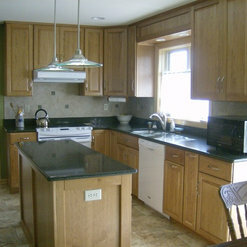 LeFaivre Construction Company did a complete re-model of our kitchen, which included a new floor, new cabinets, new counter tops, new stove, microwave and new Armstrong plank ceiling. They also installed the same ceiling in our dining room and hallway. They installed beautiful crown molding throughout. They installed French doors leading out to our deck. 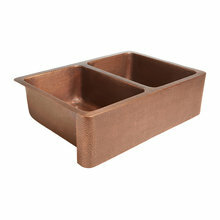 Matt's workers were very courteous and their attention to detail was excellent. They worked around our schedule and completed the entire project in a timely manner. LeFaivre is a very professional and well managed company. Any future improvements that we may need will definitely be made by Matt and his crew. 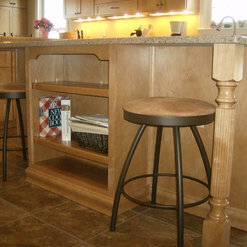 Should anyone need a remodeler, don't hesitate to make LeFaivre your choice. They are by far the best people to deal with. Matt and company did a wonderful job! 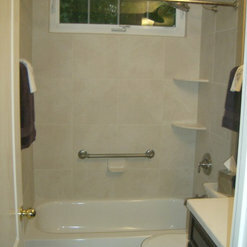 I was very pleased with their professionalism, patience, and insight into the bathroom remodeling job I hired them for. I definitely recommend this company for any construction job. J. R. LeFaivre Construction Co. has been outstanding in every way. Matt and his crew replaced my old deck, refurbished my 40 year old front entranceway, and managed to repair my aging shed. All projects were done with care, any minor issues were resolved promptly and with grace, and Matt was only satisfied when I was. Everyone involved was pleasant, attentive, and thorough. Le Faivre Construction has a well-deserved reputation for being the best firm to use for any projects you might have. I certainly will use Matt's company in the future when a need arises, and you should, too. Don't waste your time comparing other companies - just call J.R. Construction Co. and let them provide you with their outstanding expertise. J. R. LeFaivre Construction is an excellent, professional company to hire for any construction needs. Matt takes his time to meet with you to record all of your requests including any budget concerns. J. R. Lefaivre renovated our basement on one project and then we rehired them to renovate two bathrooms and a walk in closet. The craftsmanship is beautiful-from tiling, to plumbing, electrical, railing, doors and windows, painting, and rebuilding walls. The workmen are very professional and are excellent at all cleanup. When problems arise-as they will-Matt works with you to fix them. Parts did not arrive on schedule for our closet and Matt made sure that we had a hangar system to hang all of our clothes while we waited. I would hire them again and have recommended them to all of my friends. We needed to replace our French doors. J.R.LeFaivre Construction provided a fast and reasonable estimate . They replaced our doors and did a great job. I have recommended their services to my friends and family. Through the years, we have turned to family owned J.R. LeFaivre Construction Company, Inc. to make our remodeling dreams a beautiful and satisfying reality and have never been disappointed. Our first project, a southern style back porch, enabled us to work with the creator/father of the company, Jim LeFaivre, whose professionalism and building expertise ensured us a beautiful product that exceeded far beyond our expectations. 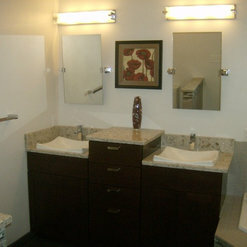 That satisfaction inherently sent us back to LeFaivre to remodel and update our two upstairs bathrooms. We worked with son, Matt LeFaivre, who expertly redesigned the physical layout of one of the bathrooms making better use of limited space that now allows for a separate shower and separate bathtub. Matt's attention to detail and his ability to help his clients visualize the overall picture is uncanny. He also painstakingly stepped us through the daunting task of selecting cabinetry, tiles and accessories giving advise on materials quality and advantages/disadvantages. The company's staff and in-house construction crew were also very professional and knowledgeable. We were fortunate to work closely with the Project Manager who was very detailed and particular. 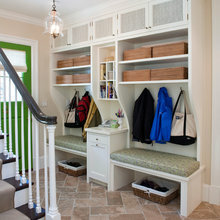 Sometimes, his expert knowledge would include suggestions for minor changes that would enhance a style or look. He always insured that we were included on any creativity and decisions. At completion of the project we felt we had established a friendship vs client relationship with everyone we dealt with. In today's fast paced world....that is truly an accomplishment but indicative of J.R. LeFaivre Construction Co, Inc. that will definitely encourage us to seek their expertise on our next home improvement project. 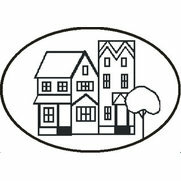 J.R. LeFaivre Construction Company Inc. designed and constructed the renovations to my historic home. (The renovations included a new kitchen, dining area, mud room, bathroom, exterior siding work, flooring, upgrades to electric and plumbing, fireplace hearth.) I could not have been more pleased with the results of the project. The project was quite extensive and involved every trade that I know of. Matt worked with us patiently and tirelessly on the design to achieve the absolute best outcome. 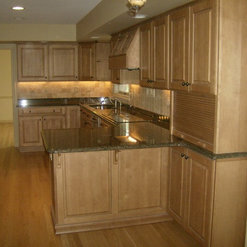 The workmanship then implemented by the LeFaivre Team was impeccable, professional, and of the highest quality. The project came in under budget and on time. I have another project on a different property in the works and would not even consider hiring any other company. Bravo LeFaivre! 7 Ideabooks for J.R. LeFaivre Construction Company Inc. Commented: Window DimensionEach unit is 58" wide, four units total, two openings. 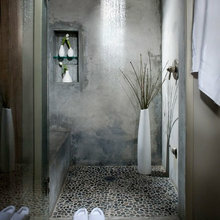 Commented: Please give details on the tile used in this shower? Thanks! !White Carrera Marble. It must be sealed prior to grouting and again after grouting. 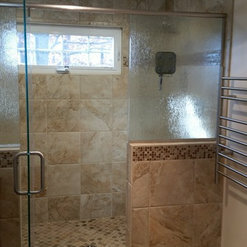 Commented: BathThis shower is 42 x 36. Commented: what is the make/model of the tile? Thanks!This was a product named Travertini. It was a porcelain time made to look like Travertine Marble. It unfortunately has since been discontinued.